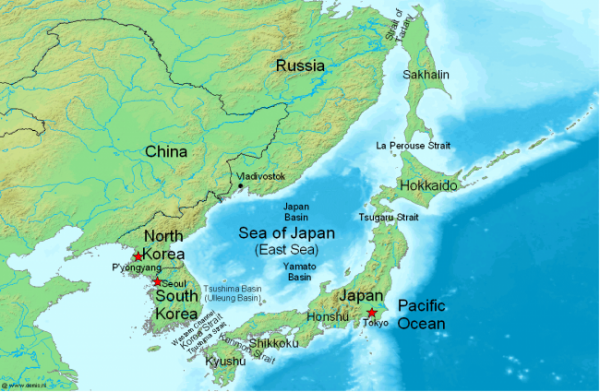 An unidentified object hindered the flight of two Russian passenger planes over the neutral waters of the Sea of Japan early on Wednesday, reported VOR. “The incident occurred at about 3:20 a.m. Moscow time. Because the unidentified aircraft was flying at different altitudes, the headings of one Aeroflot and one SAT Airlines passenger plane had to be changed, as the unidentified aircraft was obstructing their flight path,” the source said for VOR. The unidentified aircraft’s flight plan had not been cleared with relevant bodies or agencies, he said. “This could have been a drone, a military plane or something else. This has yet to be determined. However, no one else except for the two passenger planes was supposed to be in that area,” the source said.